It’s not every day you get invited to spend the day with Viktor & Rolf so even though there’s no sign of a ring yet or a man for that matter I thought trying on wedding dresses sounded like a wonderful idea! Firstly, being picked up in Jaguar already made me feel like a princess but then treated to afternoon tea at the Instagram renowned Elan Cafe in Knightsbridge sealed the deal. 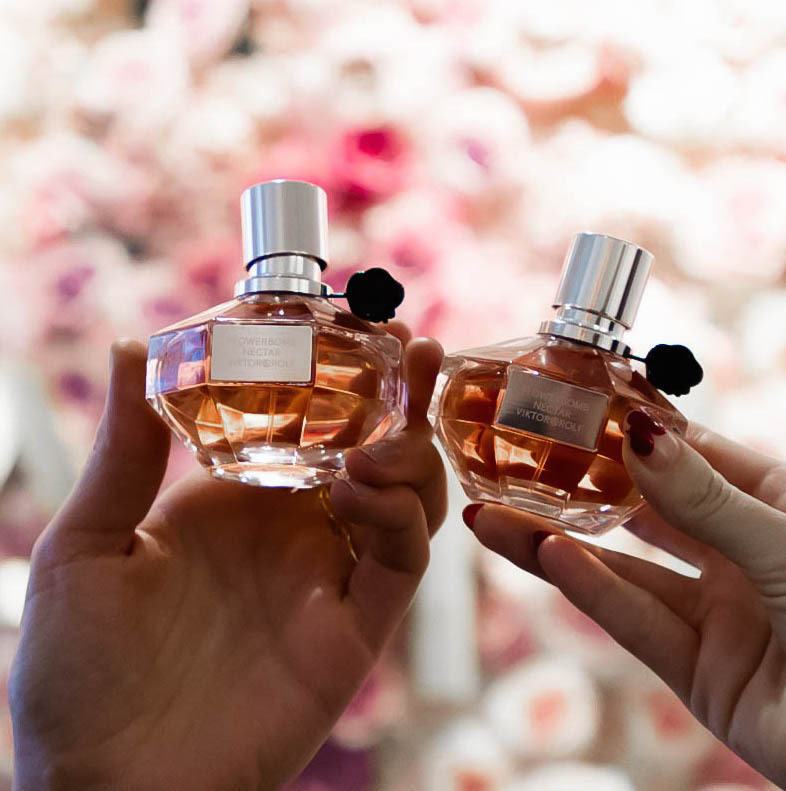 We all know and love the famous Viktor & Rolf Flowerbomb fragrance…well, it’s true there’s a new (might I say improved) one and it’s absolutely divine! Let me introduce you to Flowerbomb Nectar with all the traces of the original with a hint of orange and vanilla – it smells so good I just want to eat it. It’s one of those perfumes that’s just perfect for everyday and evening use. 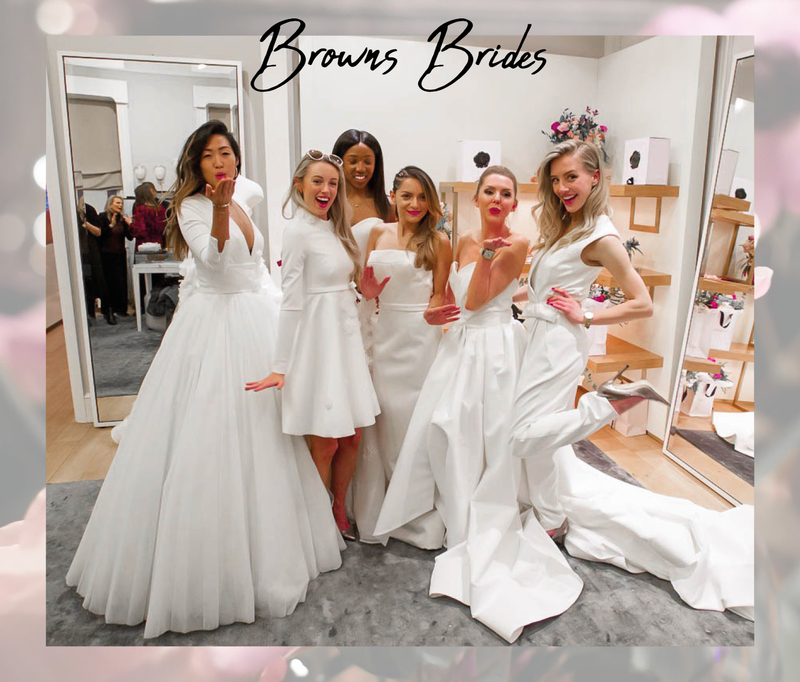 Part two of the day was at Brown Brides in Mayfair a wonderful bridal boutique right in the heart of London and by that I obviously mean where all my favourite shops are on Oxford Street. They say you should wait to try on your first wedding dress until the time is right but let’s face it the day may never come. I’ve also learnt not to rely on a man for anything so it had to happen and of course one just wasn’t enough I had to try on a couple! Browns Brides is the perfect place to try on wedding dresses, the staff are amazing, they’re all so kind and helpful. If I was seriously on the hunt for my perfect gown I would definitely enjoy spending a couple of hours there with my friends and family. The collection – truly breathtaking and original which I always look for in clothes. 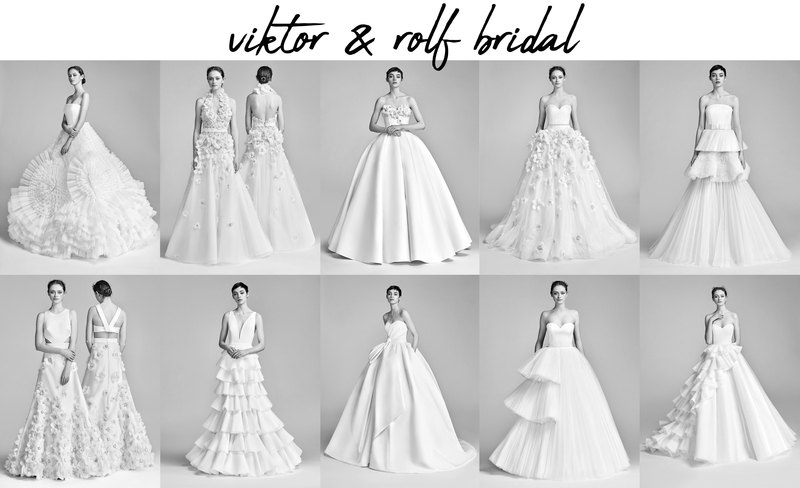 It’s also hard to find originality in a wedding dress but I think Viktor & Rolf succeeded. 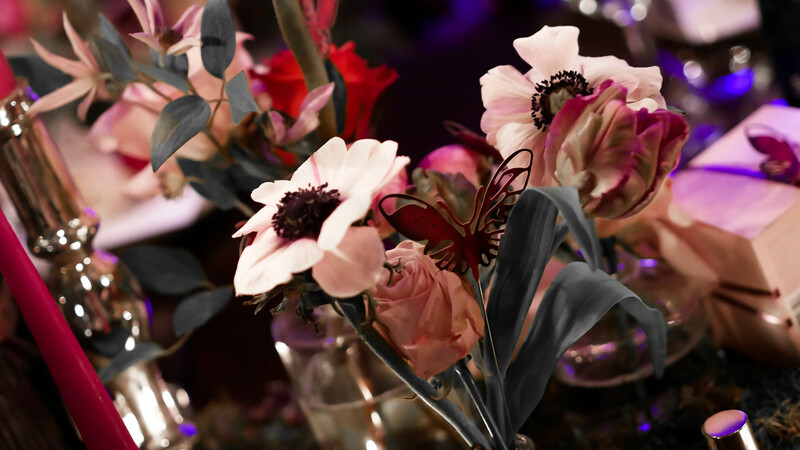 I particular loved the floral detail and the contrast of ivory white and blue white together. I’ve never had an opinion on what type of wedding dress I wanted before as obviously the time has never come for me to think about these things but I clearly love the big skirts. Like with most things in life the bigger the better! In all honesty if I could get away with wearing a dress like this every day of my life I definitely would! You can take a look at this stunning collection via Vogue here. 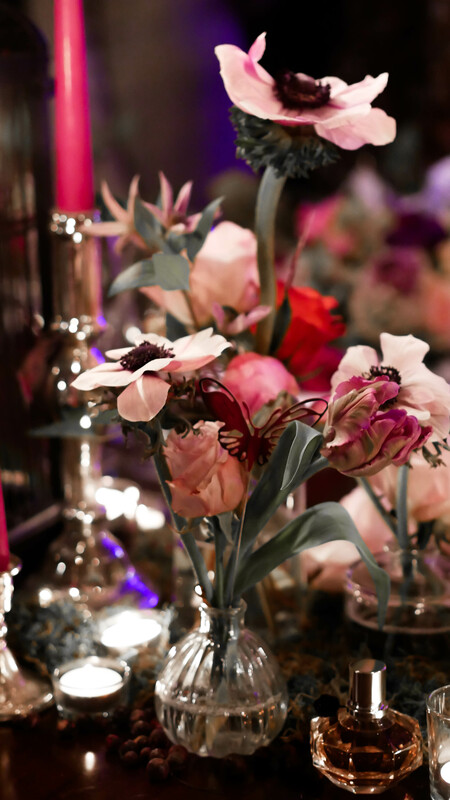 Third and final stop of the day we headed to Ours Restaurant in South Kensington were we dined in the most beautiful enchanted room which felt like a scene from A Midsummer Night’s Dream. 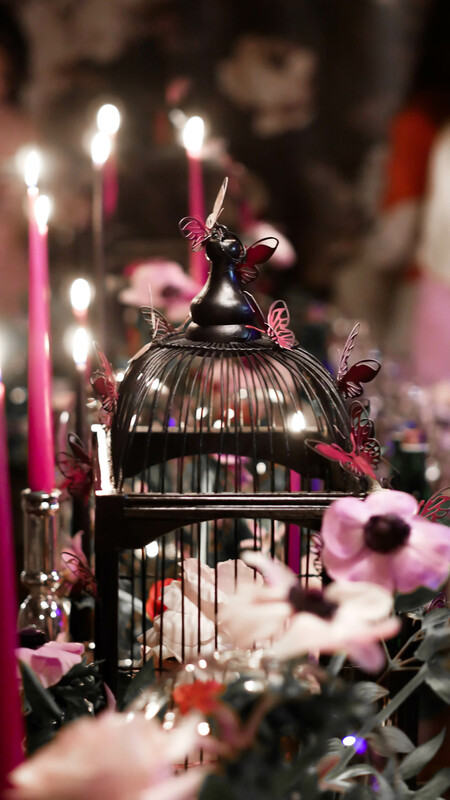 The table was adorned with flowers and candles to resemble the new Viktor & Rolf Flowerbomb Nectar scent. The food was dreamy, the girls from the L’Oreal team and my beautiful blogger friends are all so lovely it made for a perfect day – I’ve never smiled so much! 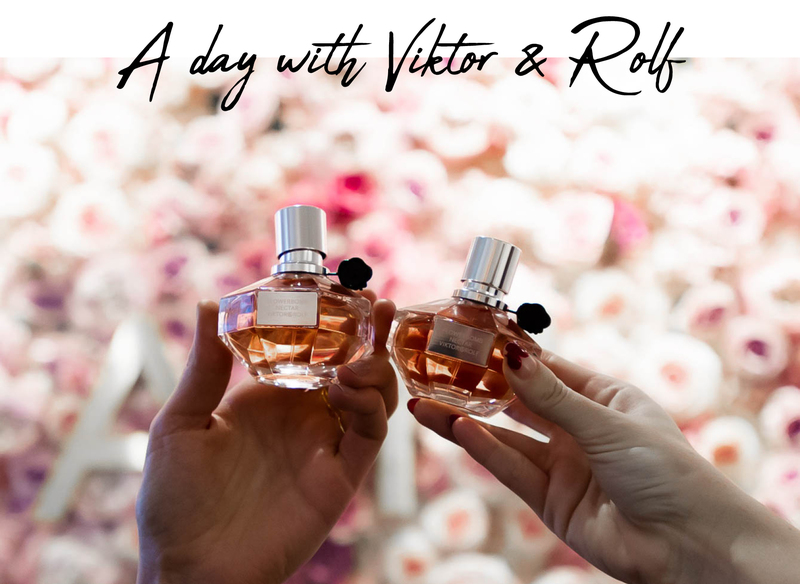 Lastly, make sure you check out my video and come along with me and experience a day with Viktor & Rolf! Some images courtesy of Keith Appleby.